More than 20 years after it first appeared, ‘Resident Evil 2’ has been updated and already released, first as a demo then as a full game. Published by Capcom, the remake is doing well on PC charts. A ‘Resident Evil 2’ demo has been released on January 11, ahead of the full launch which happened on January 25. It gave the fans a preview of the survival horror game which has been updated with a new engine and storyline. The controls have changed and, unlike the original Capcom title, players can now use over-the-shoulder gameplay which is also available in the fourth instalment. As in the original game, players are expected to focus on the main protagonists, Leon S. Kennedy and Claire Redfield. The action takes place in Raccoon City, and the characters have to run away from an invasion of zombies. 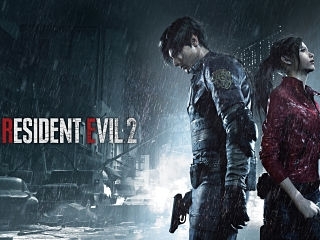 ‘Resident Evil 2’ has already made its way among the top of the PC charts, sitting at the second position on Steam. Also known as ‘Bio Hazard 2’, ‘Resident Evil 2’ is the second instalment which begun in 1996. Met with wide acclaim and positive reviews, the first game inspired an array of sequels, live-action movies as well as anime. It went on to be dubbed one of the best video games of all time and the developers’ most popular series. Aside from ‘Resident Evil 2’, earning a top five spot on Steam is the game ‘My Time at Portia’, a farming simulator. Joining them is ‘PUBG Survivor Pass Vikendi’ and ‘Grand Theft Auto V’.